If you ever think you’ve got too much on your plate as a food blogger, just imagine today’s guest, Serene Herrera. She has FIVE children between the ages of 14 and 1, and yet somehow she gets it done! I talked with Serene to learn her Best Time Management Strategies for Food Bloggers. I think you’re going to love it! Hey there! I’m so excited to share with you today’s podcast. Why? Because I think it’s so easy to sit back and feel negative about today’s food blogging environment. It’s impossible to get ahead so why even try? Have you found yourself thinking any of these thoughts? If so, today’s show is JUST FOR YOU! The Chopped Podcast is A must listen if you think you’re getting into the food blogging world or are already a food blogger! So many great insights! Well, first, Nella, let me say…I love your name! I have a thing for names and Nella is just beautiful. Second, thanks for your positive feedback. I’m so glad when I hear the Chopped Podcast is helpful to you all. It really means a lot! If you’d like to be a featured listener in a future episode, just leave a review of the Chopped podcast on iTunes. Your encouragement means so much! So, on to today’s topic. 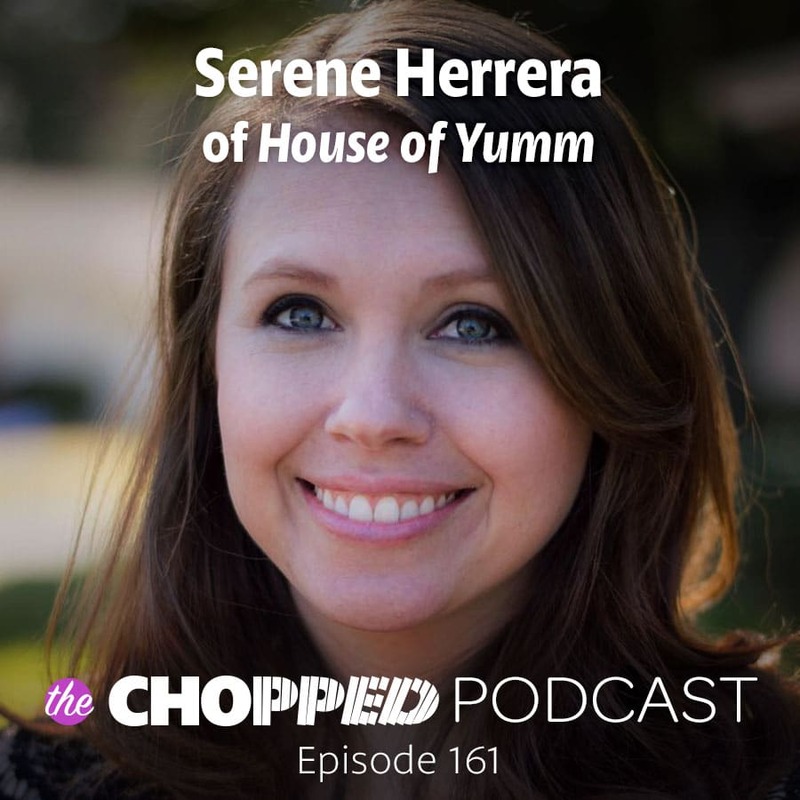 Today I’m talking with Serene Herrera about time management strategies for food bloggers. Oh, and while we’re on the topic of names, what about the name Serene. I love it! And it’s a perfect name for today’s guest because Serene is the mother of five kids. I can’t even imagine! I mean, I can imagine it, it’s just a little hectic. I’m sure that is one busy household! And on top of it all, Serene is a food blogger. Finding serenity would be a necessity which is why I think her name is so perfect! With little ones at home, Serene realized that continuing her job and paying for childcare would not be financially viable. So, she started a food blog. Makes sense. Right? One of the ways Serene has figured out to get more work done in less time is to delegate. It is such an important part when your blog hits certain milestones. It’s impossible to do it all, and yet delegating can be tricky business. We talk about how hard it can be to give feedback to assistants, but why it’s important. I read this great quote recently: It’s more important to be respected than liked. It can be helpful to remember that when it comes to delegating work. If you have to tell an assistant that they need to do some work over because it wasn’t right the first time, there’s nothing wrong with being kind in that communication. However, rather than seeking to be liked as a result, giving and receiving respect is important too. In the middle of all of the time management strategies, we also talk about unplugging. Taking time away from blogging. Does that sound a little counterintuitive? I know. How can downtime make you more effective? It doesn’t make sense! And yet, Serene points to times where taking a break is exactly what she needed to help her maintain her motivation. This isn’t a sprint, it’s a marathon. And you have to find ways to nourish your life over a long period of time in order to sustain yourself as a food blogger. So, you know what? let’s just get straight to it. Here’s today’s featured discussion with Serene Herrera. Order your the Chopped Instagram and Instagram Course today! 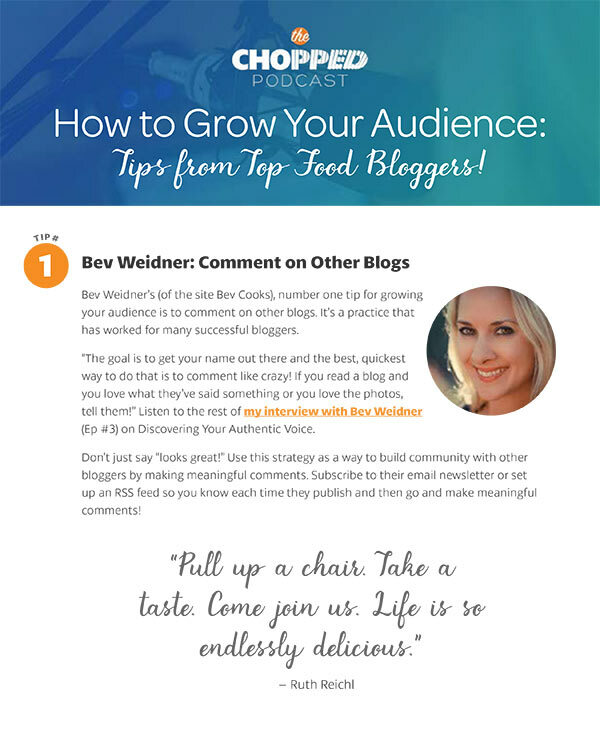 Subscribe below to be the first to hear about future Chopped Podcast episodes and get some awesome tips on food blogging. You can subscribe at the bottom of this page. You’ll be glad you did!